Clear, definite and precise explanations. 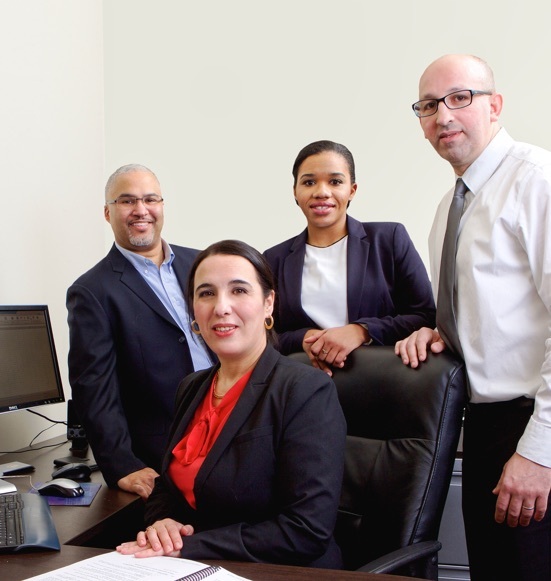 Our team consists of chartered (CPA) professional accountants, tax specialists, and professional staff ready to assist you. Our team offers services that can meet the needs of entrepreneurs. Our main objective is to maintain a balanced cost structure that allows us to offer professional services of high quality, but still at a reasonable price. We will stay in touch with you throughout the year to answer your questions regarding accounting and tax, but also to offer technical support for the use of software or to obtain funding. We also offer a wide range of tip sheets, articles, videos and summaries of federal and provincial budgets to help you better understand certain tax issues. If you like the content of this site, and that is what we hope, contact us. 16 common errors when preparing tax returns! Here are some of the most frequent errors I’ve noticed in my practice as a chartered professional accountant. Since no one is infallible, it’s even possible that your accountant makes these errors. So pay attention; you could save a few hundred dollars or a few thousand. Yves Chartrand, a tax expert, has developed a list of 80 common errors, of which some, that I’ve noticed, are listed below. Personal income tax is much more complex than most people, even certain “accountants,” think. Even if your tax return seems simple to you (and even simpler when you prepare it on a computer) it’s probably that you’ve let some errors slip by. If you have questions or comments, don’t hesitate to contact me at 514493(FISC) 3472. A question costs nothing, but the advice is worth gold! Claiming a deduction for depreciation or RRSP when you are not in a situation of payable tax! These deductions must be avoided, since they are reportable. Not claiming accountant’s fees in the real estate lending statement of expenditure. Claiming losses of leasing of more than $10,000 and setting off a tax investigation (Revenue Quebec has already declared, in the APFF, that these losses of $10,000 and more come under the scrutiny of auditors. A too-high automobile usage percentage or a too-high KM cost of use, setting off a tax investigation. Also, ignorance of alternative methods of calculating the automobile benefit can cause taxpayers to lose a lot of money. Claiming childcare expenses at the federal level when this deduction does not generate any more tax savings, and claiming these reduces the Canadian tax benefit for children. Not claiming the exemption for a principal residence when selling a chalet or secondary residence abroad (e.g. a residence in Martinique or Florida) if it is more advantageous. Not claiming a tax deduction forgotten for as long as the last 10 years. Software that messes up your tuition in Quebec!You must pay attention to software. Software programs are absolutely essential, but they are not a substitute for the judgment of a professional. For example, a few years ago you could choose between a simplified or general tax return in Quebec. Obviously, software programs chose the form (simplified or general) that would bring you the biggest tax refund. Since the simplified form didn’t allow you to deduct your tuition, software programs could choose to use the general form to deduct your tuition, even if you needed $3000 of tuition to get $2 more refunded! Sometimes, it’s better to trust a certified professional accountant (CPA) with your tax preparation. Medical costs – you may wrongly believe that you can never deduct themAn amazing number of people forget to deduct their medical insurance premiums or medication costs as medical expenses. In fact, people misunderstand the tax system associated with their group insurance payments. Let’s say, for example, that you have a typical group insurance for which you pay 60% ($1500) and for which your employer pays 40% ($1000) for a total of $2500.At the federal level, the employer’s portion is not taxable. In Quebec it is taxable, and this amount is indicated in box J of statement 1. Since you will be taxed on the amount paid by the employer, in Quebec, you have the right to deduct this sum (box J) as a medical expense. Most software does this calculation well. The problem is that most people forget (just like software) the portion that they themselves paid. The total paid by the employee is normally found on the last check stub of the year. So it is essential to give this stub to your accountant. If he or she didn’t ask you for it, check your tax return (and those from years past). They may contain an error…Thus, at the federal level, even with $1500 in medical expenses it is easier to pass the limit of 3% of income (or $1813). In Quebec, it’s almost guaranteed that you will reduce the taxes you have to pay with a box J of $1000 and a $1500 portion paid by you (that’s a total of $2500 of deductible medical costs). Errors in the statement of expenditure for rental buildings are common. There are five major errors. First, many people neglect to claim a depreciation expense, a small error that makes you pay a little more in taxes. The biggest error is especially when taxpayers forget to distribute the land / building for the purchasing cost of a property and claim a deduction for depreciation on the total purchasing cost. In fact, only the cost of the building can be the object of a depreciation deduction. Imagine the surprise when the tax authorities send an assessment, refusing hundreds of dollars of depreciation deductions. A frequent error, when the taxpayer uses a software program, is the order in which he or she records the categories of depreciation. The first category in the table of depreciation will normally be the first to be depreciated to reduce the rental income to zero. Thus, if you have furniture in a category 8, recorded just after the category of the building, it’s quite probable that you have never used the depreciation of this category 8, because the rental income is already reduce ti zero using the depreciation on the building. Often, taxpayers own a building where they live in one of the apartments. For a triplex, taxpayers calculate 33% of all their expenses as relating to their personal part. This calculation is often erroneous, since most of the time certain maintenance expenses are 100% attributable to the apartments other than the proprietor’s and are therefore deductible at 100%, not 33%. Unfortunately, given their design, software also fosters this error. For maintenance expenses, taxpayers frequently forget to fill out the TP-1086 (with a possible fine of $200 for each expense omitted). This form must be filled out for all maintenance expenses made with regard to your rental properties. The TP-1086 is a tool for the department to combat undeclared construction work. On this form, you must indicate either the QST or the social insurance number of the contractors who have provided you with goods or services. Acquiring a rental property – Has your accountant talked to you about the R.H. strategy? The R.H. strategy is one of the best strategies for possession of a rental property. With this strategy, real estate will seem even more essential than ever. Even better than an RRSP for people in real estate. Learn how to get unexpected deductions and make a rental property profitable…. You will see how much money good advice is worth. Here are some strategies (perhaps) a bit less known that you should consider using with your RRSP. To reduce the amount of text, the strategies are briefly explained. We take it for granted in this article that you know the basic rules about RRSP and HBP (Home Buyers Plan). If you need additional explanations, don’t hesitate to contact Célestin chartered professional accountants of Montreal to help you at 514493(FISC) 3472. A question costs nothing, but our chartered professional accountants’ advice is worth its weight in gold. Dad’s RRSP for financing a business! Do you know that someone can invest in your incorporated business (generally up to a share of $24,999) from their RRSP, on the condition that they have no link to your company? The impossible search for financing is over! If you know someone interested in financing you, but whose assets are frozen in their RRSP, tell them that their RRSP can be invested directly in your SME’s equity. Warning, the laws are complex. Call on chartered professional accountants. With the LLP (Lifelong Learning Plan) it’s possible for you to withdraw $10,000 per year (max. $20,000 total) without taxes if you are returning to school full-time. You may do what you like with this withdrawal, even a new contribution to your RRSP. Your spouse can do the same and withdraw for your return to your studies (within the framework of the LLP), which allows you to get up to $20,000 ($40,000 over two years) without paying taxes. A contribution to an RRSP for a return to school can be more profitable than you think. In fact, your income for the year you return to school can decline significantly and be placed in the bracket taxed at more than 50%. Check the the graphs of Claude Laferrière, professor at UQAM, and you might be surprised to se that there are tax rates of more than 100%. Given a certain income level (around $35,000), you lose access to a lot of social tax credits and sometimes the result is that a $1,000 rise in income translates to $1,000 in additional taxes. This situation happens particularly in the income bracket of $25,000 to $40,000. The good news is that even though a $1,000 rise in income creates a $1,000 tax, a $1,000 fall in income creates a $1,000 refund as well. You will understand that an RRSP contribution can be very advantageous in these situations. You can generate $40,000 in tax deductions over 13 months with only $10,000. Here’s the thing: you contribute $10,000 (let’s say in June) to an RRSP, which you withdraw, in the frame work of an LLP, 90 days later, without any tax impact. You give this $10,000 to your spouse for them to contribute to their RRSP. Your spouse withdraws the $10,000 90 days later and gives it back to you. You wait until the New Year and begin the cycle one more time. (You cannot do this for more than two years). If you have lost your job, a little return to full-time study (10 hours per week for three months) can make all the difference. You can use the LLP strategies we discussed above and withdraw up to $40,000 from your RRSP without tax. You can also use a bank loan to make a massive contribution to your RRSP and reimburse yourself for all the taxes paid during your old job. Consider the “HBP to HBP” technique if you want to use the HBP, but it’s your spouse who has funds saved up in their RRSP. With this technique you can use the sum withdrawn from their RRSP to help you contribute to your RRSP. Thus, you will get not only an RRSP deduction, but you can also “HBP” it easily. It’s not enough to know about the HBP; you also have to MAXIMIZE it! Certain people want to get rid of all their debts at any cost. Generally, this is good, but you must pay attention. The interest from your educational debts is deductible. So pay back your auto loan, your credit cards, etc., before “clearing” your student loans. As for your HBP, there’s no rush. You have no interest to pay to anyone, your credit file will not be affected, etc. Keep your assets to contribute the maximum possible to a deductible RRSP; if there is any money left, repay your HBP; your investment income will accumulate in the tax shelter. To avoid withholding taxes on a bonus, you can ask your employer to send the bonus directly to your RRSP (or your spouse’s RRSP) up to the maximum contribution for your RRSP contribution rights. Also, if the bonus is paid in January or February, you can claim the RRSP deduction for the preceding year and the bonus will only be taxable for the year in which it was sent. If you are self-employed and you haven’t done your tax installments, you know that you will have a lot of interest to pay on your late amounts. Contribution to an RRSP can let you save around 4% more than another individual, by a reduction of interest resulting from lower taxes. If you’ve liked these strategies, note that we have a list of over 50 amazing RRSP strategies at our office. Plus, our strategies are not limited to RRSPs. Each year we take thousands of hours to find strategies for our clients. We have more than one trick up our sleeve and it makes us happy to share them with our clients in return for a reasonable fee. These fees allow us, among other things, to keep a competent team at our office who is well aware of the most interesting strategies to offer you. How to reduce the risk of errors when you give an accountant care of preparing your tax returns! According to information published by Revenue Canada in 2009, around 43% of tax returns produced in 2009 were prepared by third parties (40% in 2001). During tax season, all accountants are confronted with a major problem: lack of time. When you combine this problem with the huge complexity of tax returns, it greatly increases the risk of errors. Here are a few elements for reducing the risk of errors in your return. First of all, do business with a recognized professional. Chartered professional accountants (CPA) are the best professionals for preparing tax returns. Their tax training is deep and well-recognized. Too many individuals use the express services of non-professional “accountants” or those without a professional title, and run the risk of paying too much in taxes. On the other hand, if you do not pay enough, you may have worries that follow you for a long time. Do not hesitate to read your accountant’s diploma or to confirm his or her professional status with the Order of chartered professional accountants of Quebec (OCPAQ). Ensure that the professional uses professional software to prepare your tax returns. Generally, professional software is not available on the shelves of retail stores. If your professional still prepares taxes by hand, the risk of errors becomes great. Know that in Quebec, a retired couple who wishes to split their pension income must prepare at least a dozen tax returns to determine which is most nearly the most advantageous. Only the most nearly, since the most advantageous can only be calculated by software. Imagine doing this by hand! Ensure that the accounting practice you have chosen has a good system of tax return verification in place. In fact, it’s preferable that one person prepares the return and one other (more experienced) verifies it in order to reduce errors of inattention, reversal of numbers, oversights, etc. Ensure that your accountant has prepared a comparison with the previous year and that he or she has explained the major differences. It’s crazy what you can discover in this way. If you have a new accountant, whose system doesn’t have data from previous years in its memory, then be more vigilant. Ensure that your accountant has all of your notices of assessment and that he or she makes sure that there are no differences with the tax returns produced. If there are differences, it’s essential to examine them before the end of the allowed period to object, generally 90 days after the date of the notice. A good accounting service must also include a tax plan, even slightly before the end of the year or before the end of the RRSP period. This way you can compare the final results with those predicted. Review the tax return yourself; you never know what you may be able to find and question. If you have questions or comments, don’t hesitate to contact our chartered professional accountants at 514-493-(FISC) 3472. A question costs nothing, but our accountants’ advice is worth its weight in gold. How does tax season go at Célestin Chartered Professional Accountants? You must prepare your file and your questions, as much as possible, before meeting with one of our chartered professional accountants in our Montreal office. A well-prepared file will reduce costs and the chances of error. Call us so that we can send you the questionnaire on important information not to forget, updated each year. Our professional accountants ask for a lot of information. Don’t be discouraged; it’s important to allow us to find all the tax deductions you are entitled to. Next, bring your file to the Célestin chartered professional accountants of Montreal office to meet, as much as possible, an office partner who will take the time to make a primary analysis of your documents. This analysis ensures that you haven’t forgotten anything and allows us to reply to your questions. If you are far away in the region and prefer not to travel to Montreal, you can also send us your documents on the secure client area. We can then have a meeting together by telephone or on a webcam session. The client’s file is sent to one of our office’s preparers (a chartered professional accountant [CPA] or a person on the way to obtaining their professional title) who fills out the tax return to the best of their knowledge. The preparer gathers their questions and communicates with the client if information is unclear, if they are missing documents, etc. The preparer must self-verify. Among other things, they must verify all the data entered, be sure to set all the software diagnostics and analyze comparisons with the previous year, and explain any differences. Comparison analysis must be done for all client statements. When a file is completed, the preparer sends it for review. The reviewer is generally a more experienced person whose competence is recognized by the professional designation of chartered professional accountant or another appropriate title. In addition to analyzing the data entered, comparisons, and software diagnostics, the reviewing accountant must ensure that optimization has been done adequately. They must also make a brief analysis as to recommendations to make to the client to reduce the client’s tax burden in the following years. They analyze the return with the help of a 60 point review list. They make sure to communicate with the client if there is a balance to pay. The verifier puts the returns which are eligible for electronic transfer to the EFILE transmitter. Clients who are ineligible for electronic transfer must be called regularly to ensure that they send their documents before the due date. The reviewer has the responsibility of selecting the returns that present particular difficulties or are abnormally complex and must have a third review by a tax expert. As the season progresses, the files have completed the process of review and have been accepted by EFILE, the transmitter must send a copy of the client’s tax return to the secure client area in PDF format. After the season, the office will ask you to send us your notice of assessment, both federal and provincial. Copies will be inserted into your file and onto the secure client area. The notices of assessment must be analyzed with the tax return in such a way as to ensure that there are no differences with the tax return produced. Any differences must be analyzed and if there are any, we must prepare an opposition notice within 90 days of the sending of the notice of assessment. Given that client’s tax returns are sent electronically, government officials can target certain transmitter EFILE clients at random and ask for justifying pieces (T4, educational expense receipts, medical expenses, or other). Therefore the original documents must be saved for several months, at least until the following August. When the department has finished its questions, we can return the original documents to the client. Ideally, the client’s original documents will be returned the next year as soon as they send their new tax documents. The practice promises eligible clients that their file will be transmitted by EFILE before April 30. Clients who drop off their file after April 20 cannot have the guarantee that their file will be sent before April 30, and must be warned of this. The practice has a policy of not communicating the amount to receive or to pay before the end of the revision process, in order to avoid deception or hasty decisions on the part of clients. All eligible tax returns must be transmitted electronically. This solution reduces the risk of entry errors on the part of government officials and also reduces the burden of clients who often have to have their irregular postage weighed. This is also an ecological and quick solution. This summary of standards does not replace the office’s quality control standards provided in the quality assurance manual. If you have questions or comments, don’t hesitate to contact one of our Montreal office’s accountants at 514493(FISC) 3472. A question costs nothing, but your accountants’ advice is worth its weight in gold. You’re looking for meticulous chartered professional accountants for your taxes? Personal income tax season is approaching, and you are thinking about having your tax return done. If, in the past, you have experienced an “express” service in a Montreal office whose practice is volume-centric, you would probably now like to have your taxes done in a meticulous practice of chartered professional accountants in Montreal. In fact, before choosing the accounting practice that will prepare your tax return, you need to know that the tax return industry has a huge “cancer” that will not be fixed any time soon. If you want to avoid being one of the victims of this “cancer,” I suggest that you read an absolutely extraordinary article by Yves Chartrand, a leading expert on the tax system. The article is called “The real cancer in tax returns.” By reading this article, you will become aware of the danger that might be waiting for you. This article has been reproduced on our website in the “personal” tab. You can also visit the excellent website of the Quebec Center for Tax Training (CQFF). At Célestin Chartered Professional Accountants of Montreal, we do not offer express service. We accept, essentially, the personal income taxes of the office’s corporate clients. We also accept tax returns of self-employed people and real estate owners. Why restrict? Simply to ensure that we never fall into express service. We try to produce high-quality tax returns all while maintaining reasonable fees. By taking care of clients that have corporate accounts, self-employed people, and real estate owners, we succeed in having a much better knowledge of each client. By reducing our volume, we can take the time to do things right and follow the quality control manual of the office, which is very demanding. To reassure you even more, we only hire highly qualified people to prepare and revise personal income tax returns, either chartered professional accountants (CPAs) masters of tax law, or people en route to obtaining their professional designation. It may be that you believe, wrongly, that our Montreal chartered public accountant practice is just too expensive. In shopping around, you found an old civil servant, now self-employed, who spent 20 years in the tax department and only asks for $50. Remember that the auditor general of Quebec has already declared that 36% of answers provided by telephone by the civil servants of the tax department in response to taxpayers’ questions have been false or mistaken. 36%! Draw your own conclusions. Keeping fees at a reasonable level is always a challenge. CPAs, of whom some are, moreover, masters in tax law, cost a little more per hour. Then, the key to succeeding in producing quality personal income tax returns lies in excellent knowledge of the client. If you do not know the client well, there is more of a chance of passing by an important element. Taking the time to know the client well takes time, and this costs a little more. How can you know that a client has the right to a caregiver tax credit if you don’t know that he or she takes care of an elderly person? Only a good knowledge of the client can help us to discover what the client often forgets to tell his or her accountant, due to lack of relevant knowledge. Perhaps you are one of those people who believe that it’s not worth it to have your taxes done by a chartered professional accountant, because it costs less to do them yourself. You may find that it is even easier when you do them with a software program. Personal income taxes are much more complex than most people believe. Read our article online, called “16 common errors when preparing tax returns” and give me some news. We have had dozens of thank-yous and congratulations for this article, which was even reprinted in large part in the journal published by the property owners’ guild of Quebec. You will be astonished. Computers are very useful, but they do not replace the judgment of a well-informed professional. Whether you are in Montreal, Longueuil, Laval, or elsewhere in the region, by coming to Celestin chartered professional accountants, you will be happy to have entrusted the preparation of your income taxes to a meticulous accounting firm, and you will appreciate our office’s reasonable fees. In any case, you will have done your part of the “job” by finding good CPAs in Montreal to handle your tax files. Now, you can sleep soundly knowing that everything has been implemented in order for the work to be well done and for there to be no errors. I invite you to check out the text and videos on our website in order to have concrete examples of the expertise of our chartered public accountants and how our firm uses technology. Don’t hesitate to call right now to discuss the particularities of your file with a partner and to set up a meeting at our Montreal office or at your home for a free consultation worth $375. In this video you will see that tax preparers are not always up to the task and don’t have the skills required to make your return and often make you lose money! Don’t hesitate to contact our chartered professional accountants at 514-493-(FISC) 3472. A question costs nothing, but our accountants’ advice is worth gold.